Senior Resident: Postgraduate medical degree viz. MD/MS/DNB in the respective discipline from a recognized University/Institute. Tutor/Demonstrator: A recognized MBBS degree. 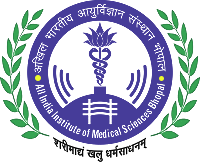 AIIMS Bhopal invites application for the post of Professor, Additional Professor, Associate Professor & Assistant Professor.